Have you imagined life without electrical appliances? Well, for a day or two it can be adventure, but we cannot life without them for long. We use a lot of them every day, and we can’t live without them. In case one of them fails, we become helpless. Well, I know that these electrical appliances hold a great value for you, but you should also take a good care of them. These appliances can cause a lot of damage if not managed properly. However, the process of taking care starts when you are buying them. You must make sure that you are buying quality products only. Check for user manual: Many electrical appliances are complex in operation. Such appliances come with a user manual so that all kinds of mistakes can be avoided while using them. Well, these little mistakes can be reason for a big damage. Hence, before spending your money on any of these appliances, verify that you will get the user manual along with it. Ask about operating voltage: These appliances are called electrical for a reason.They require some kind of voltage and too high or too low voltage can harm them. This is one thing that people usually ignore, as they don’t feel it is important. Well, you should not ignore this; know everything about the product that you are buying. 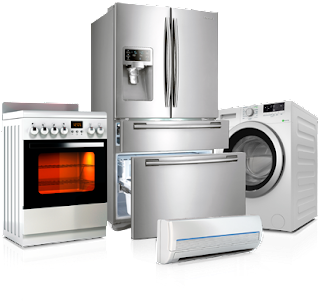 Buy from a reputed store: Whether you are buying them online or from a physical store, you must buy them from a reputed source, renowned for dealing in electrical appliances. You can check out the reputation of the seller, online, or you can ask the people around you. And when you find out that it is reputed brand that deals in quality products, you can go ahead with your shopping. Only go for quality products. From television to mobile phones to vacuums, we are surrounded by electronic devices. Hence, make them your friends; don’t let them be your enemies.